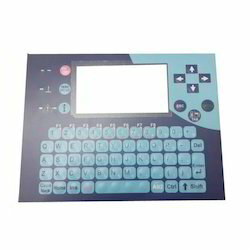 We are a trustworthy manufacturer, exporter and supplier of a superior quality Flexible Membrane Keypad. This keypad is manufactured using high grade components and sophisticated technology in compliance with international quality standards. Membrane Keypads is widely used in home appliance, communication facility and industry instrument. Our Offered keypad is thoroughly tested by our experts on different parameters of quality to ensure its flawlessness. It is available in different sizes as per client’s requirements. Moreover clients can buy this keypad from us at nominal rates. We are exporting Flexible Membrane Keypad to countries like Uk, USA, South Africa, Kuwait, Bangladesh, Canada, New Zealand , Australia, Sri lanka & So on. Flexible Membrane Keypads are precisely designed and manufactured by our deft professionals possessing wide knowledge in their concern area. This keypad is strictly tested on different parameters by our quality examiners. 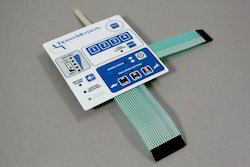 Flexible Membrane Keypad. is precisely designed and manufactured using high-quality raw material and superior techniques in order to maintain its conformity with universally set norms. In addition to this, we offer this keypad in diverse sizes and specifications at most affordable rates. Custom Membrane Keypads are used for high-quality raw material and advanced technology to manufacture and finish these keypads. Further, we specifically test the entire range against different quality parameters to maintain the quality. Membrane Keyboard is precisely designed and manufactured by our deft professionals possessing wide knowledge in their concern area. This keypad is strictly tested on different parameters by our quality examiners. 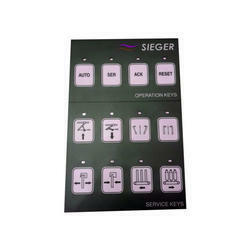 In order to fulfill variegated needs of our clients, the offered keypad can be available in personalized options. Soft Membrane Keyboard is designed and manufactured under the direction of deft professionals using latest techniques and finest quality raw material as per the set industrial standards. Our keypad is thoroughly examined by our quality examiners in order to preserve its quality. 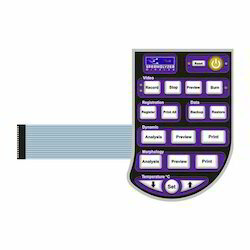 Membrane Touch Switches is precisely designed and manufactured by our deft professionals possessing wide knowledge in their concern area. 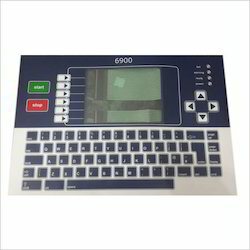 This keypad is strictly tested on different parameters by our quality examiners.